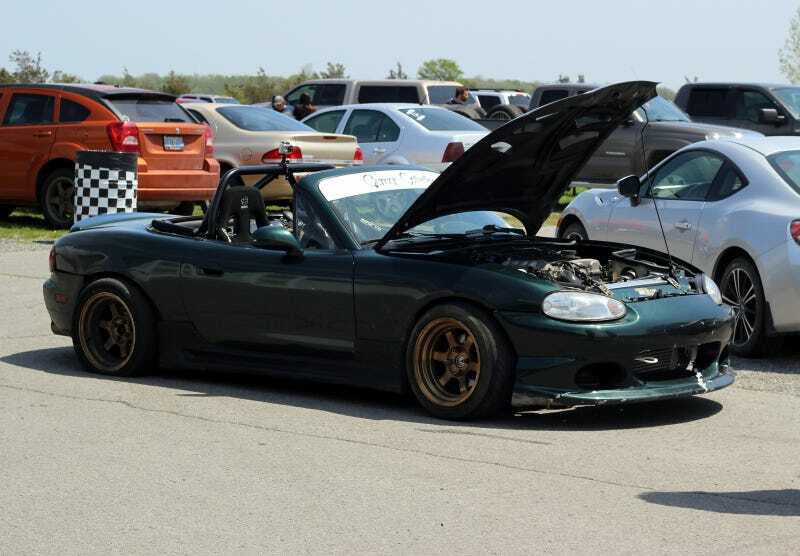 Yesterday I went out to Shannonville Motorsports Park to watch the TOPP Drift day going on. I've been looking forward to getting out to a track to take photos, and this is the first chance I've had to. I ended up taking a little under 2000 pictures. It was a lot of fun. I was able to watch from pit lane, so I was less than six feet from drifting cars (there was a cement barrier between). So I, and probably everyone else, ended up covered in tiny chunks of tire. There were cars for everyone there. Plenty of JDM, including a couple of mazdas, two trucks, a couple of fox body Mustangs, and even a 3rd Generation Camaro. There were two civics driving on the track, one I think was being used as a safety car (the White Civic), and the other was being used as a camera car. Thanks for looking folks. Comments Welcome.